We Have Wheels! – Beware the Comfort Zone! Well, we will have a car very soon anyways! You wanna hear a God story? I think I have one! A little over a week ago, Dan and I went to immigration to renew his visa. When we arrived, there were three American me at the window dealing with some minor issue, and I couldn’t help but notice how polite they all were. I hate to say it, but if you want to see “ugly Americans” (or ugly foreigners in general), go hang out at immigration. Anyways, as they left Dan talked to them for a few seconds, and that was that. So we thought. After getting the visa done in under 45 minutes (unheard of! ), we went to Starbucks, and we ran into the three guys there again. We got our coffee, and joined in their conversation. It was the typical, “where are you from, why are you here, for how long” kind of conversation. One of the three mentioned he was getting ready to move back to the States, and asked if we were looking for a car. I told him we were, but it wasn’t in the budget right now, because nothing decent we’ve looked at has been. Not even close. He then told us he bought a 4 door multicab 8 months ago, and needed to sell it. That is exactly the model we’ve been looking for, but they’ve all been well out of our budget. For kicks, I asked how much he wanted for it. “90,000 pesos” he said. He paid 170,000, which is in the neighborhood of what we’d been seeing. Since he’s moving, he just needs to unload it quickly. So the next logical question I had was “what’s wrong with it? !” He replied, “nothing, in fact it’s in the shop right now having the motor overhauled, it will be like new”, then he immediately showed me the texts between him and the mechanic confirming this fact. My heart was beginning to race, this is too good to be true. But, that’s how God works, right? He likes to just bless us beyond our expectations. Finally, in a joking tone, I asked, “most important question. What color is it? We both love yellow cars, that would be my first pick. “Ohhhhh…he sighed. It’s bright yellow. Most people are kind of turned off by that”. What?!? Well, it turned out to be more of a school bus orange, but I absolutely love it! Extra visibility is a plus in this city anyways! So, we saw it a few days ago, drove it, and love it. The seller still needs it for a few weeks while he wraps up here, but we made a verbal and written agreement, sealed with a small deposit. I have mixed feelings. We just met this guy, but we’ve connected with him already, so I’m sad to see him go, but I want him to go so we have a car! He actually has had several other people interested in buying it, but he said he “chose” us because he knew we needed it the most, but I think our love of the color gained us extra votes. He has mentioned more than once that he just can’t believe the odds of us meeting, and how he had exactly, down to the color, what we wanted. He even joked that he was waiting for the candid camera crew to come barging into Starbucks while we were talking about it. I told him there were no odds or coincidences involved, I really feel as though God created the intersection for us to meet at just the right time. Oh, and far as our car budget? Nope, we still didn’t have one yet. However, a few weeks ago, my sister emailed me to let me know that she had finished our mom’s final tax return, and she would be dividing the money three ways between us girls. That was nearly enough to cover the cost. Coincidence? Nope. God rocks, period! My mom was secretly known amongst the family as not exactly the best driver, she finally gave up driving about five years ago when she began to worry about causing a serious wreck. Good choice Mom! 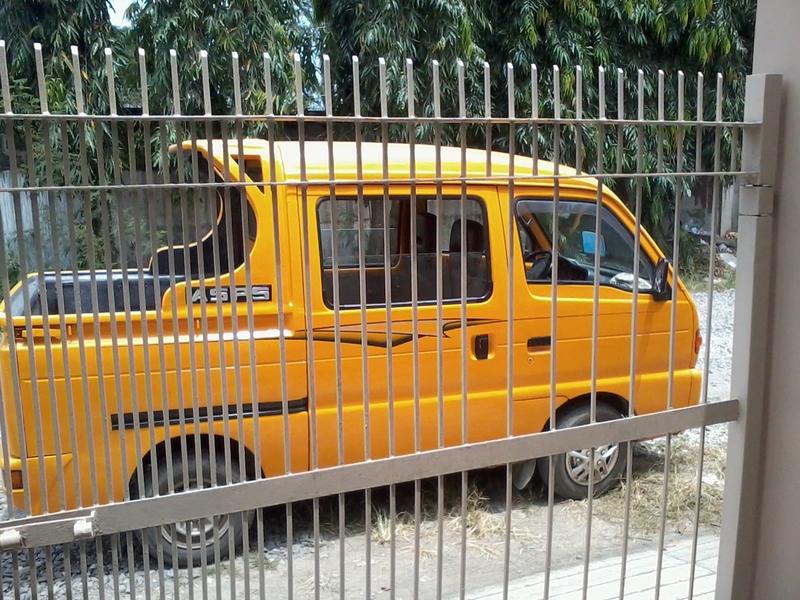 Anyways, we’ve giggled about her funding a car for us to drive on the crazy streets of Davao, oh the irony! 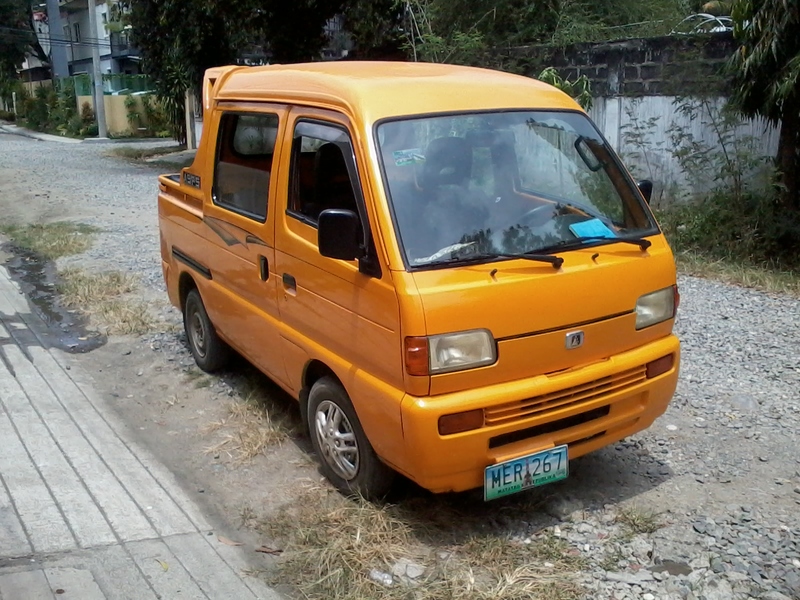 People have called it pumpkin orange, school bus yellow, and the banana on wheels. I prefer to call it…awesome! Previous Post Which Way to the Big and Tall Store! ?